Something groovy this way comes in Denton. If you enjoy a funky sound that makes you want to get up and dance, then you should check out local band West and the Grooves. 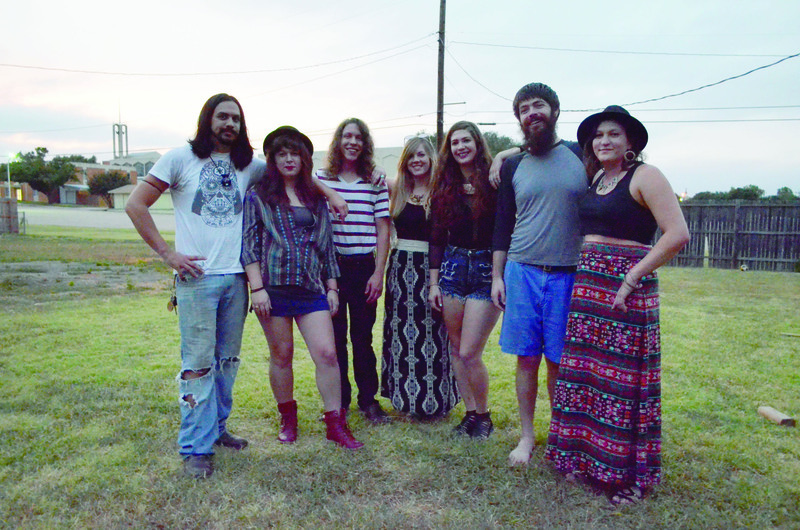 First formed in 2012, the band’s origins stemmed from a social media post written by Grooves vocalist Ally Barnes. The band is currently comprised of eight members: vocalist Barnes, bass guitarist Mason, lead guitarist Tessa Kisielewski, guitarist and vocalist Reid Kisielewski, drummer Aaron Poret, keyboardist Micah Perkins and vocalist Madison Norris. The group performs a variety of funk and grunge covers as well as original songs that reflect their funky style that is as inventive as the band’s name. West and the Grooves play at various Denton venues along with previous shows in Dallas, Fort Worth and Austin. While they have not gone on tour yet, the members of Grooves continue to play at gigs while keeping their dreams huge and expectations high. However, West and the Grooves always keep in mind the enjoyment of their fans. The musicians encourage the audience to come up and join them on stage, providing them shakers to use during the performance. The crowd participation adds to the atmosphere that Grooves wants to create. Though its goal is to become more widely known as a band, West and the Grooves ultimately feeds off the excitement and devotion of their fans. For those looking to bring out their funky side on a Friday night, West and the Grooves wants to bring the party to their fans. West and the Grooves will play at Abbey Underground on September 18th.